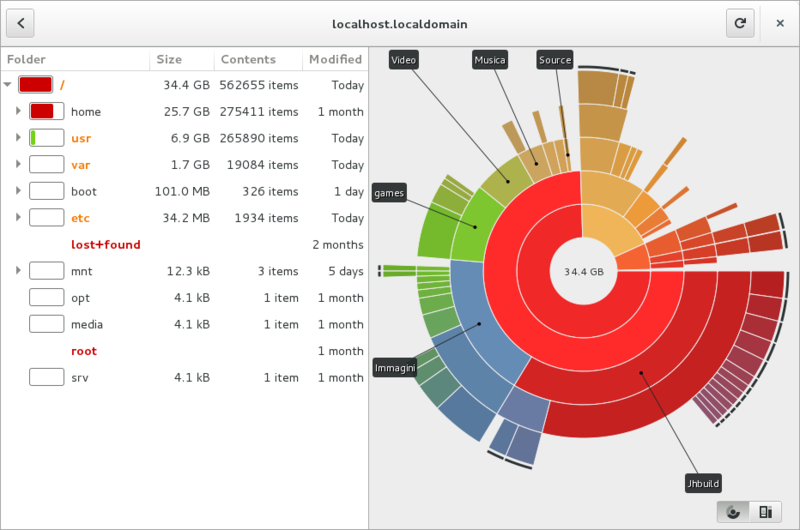 There are tons of disk usage analyzer tools: Baobab, WinDirStat, JDiskReport, and many others. Now, I am looking for a web-based disk usage analyzer. For any remote protocol, for instance FTP, WebDAV, JCR or CMIS. For instance, it would show how space is being used on a remote FTP server (so it is not really "disk" in the hardware sense, more "repository"). My goal is to take the source code and adapt it to my own remote protocol (which is similar to WebDAV in concept, just using a different API syntax). Browse other questions tagged open-source web-apps ftp disk-analysis webdav or ask your own question. Disk space monitor - where did my disk space go? Web-Based Open Source Inventory Management App?